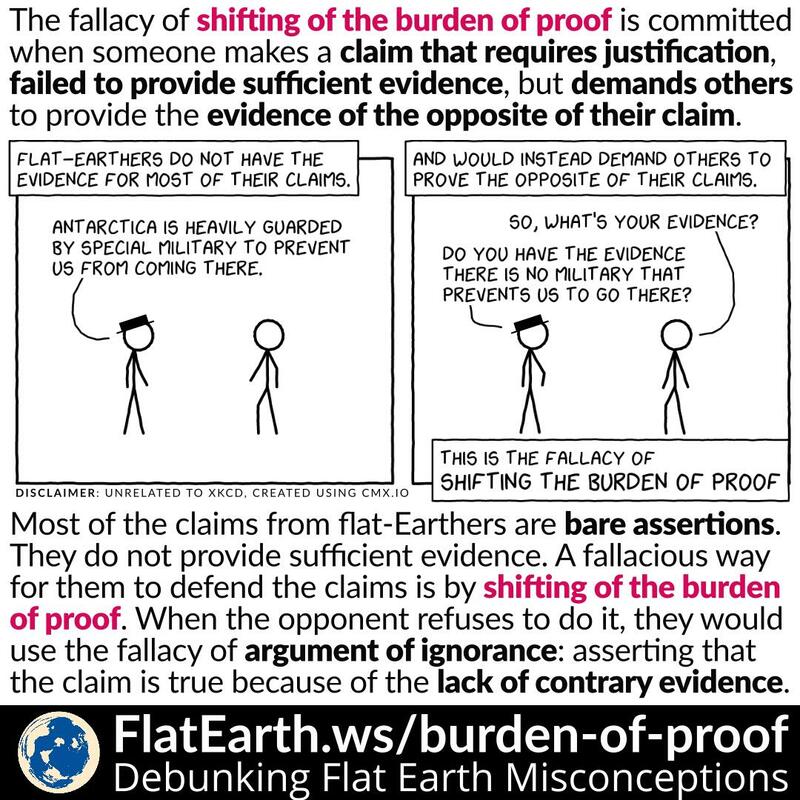 The fallacy of shifting of the burden of proof is committed when someone makes a claim that requires justification, failed to provide sufficient evidence, but instead demand others to provide the evidence of the opposite of their claim. Most of the claims from flat-Earthers are bare assertions. They do not provide sufficient evidence. A false way for them to defend their claims is by shifting the burden of proof. The fallacy of shifting of the burden of proof is committed with another fallacy, which is the argument from ignorance. They assert their claim is true because nobody has yet to prove it false. In reality, nobody should seriously entertain such demands. The burden of proof lies with the party who makes the claim, not anyone else.